We navigate the stunning Lysefjord at speed, letting the wind blow out the cobwebs and enjoying the beauty that only the scenery of Norway can offer as we savour the wild, unspoilt country around us from our motorboat. 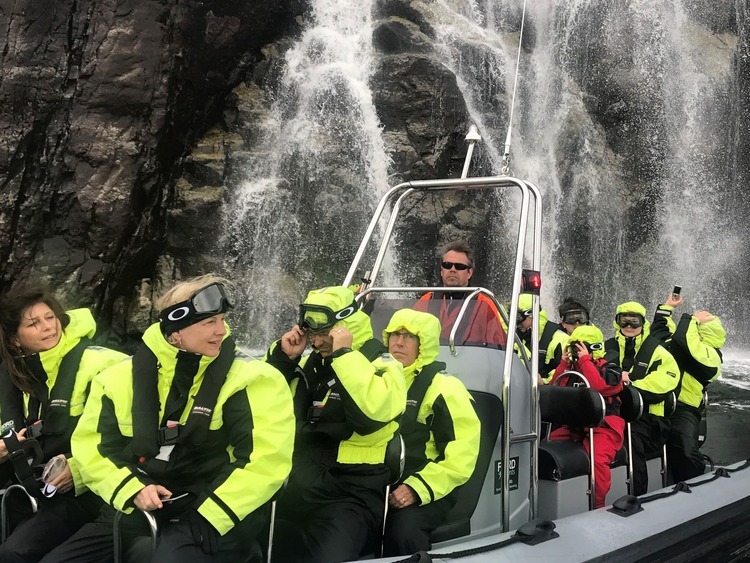 At Stavanger, we board a powerful motorboat for an unforgettable adventure, arrowing over the sea, surrounded by Norway’s fairy-tale, natural scenery. We explore the spectacular Lysefjord, which extends for around 50 kilometres toward the interior, its wild nature underlined by the glaciers and harsh mountain peaks that surround it. Here, we can admire the many small, inhabited islands of the fjord, and even spot the occasional little farmhouse nestled in the countryside. Rising up before us, as we speed along, enjoying the invigorating rush of adrenaline and the whip of the wind across our cheeks, is the gargantuan Preikestolen, or Pulpit Rock, a massive 604-metre-high cliff of granite whose vertiginous overhang looms over the waters of the Lysefjord. Also towering over the fjord is Mount Kjerag, whose steep bluff drops sheer to the sea, making it a popular destination for base jumpers. We head back to the pier at the end of our excursion, leaving a wake of white foam behind us, but carrying with us some unforgettable memories. This excursion is not recommended for guests with back problems.